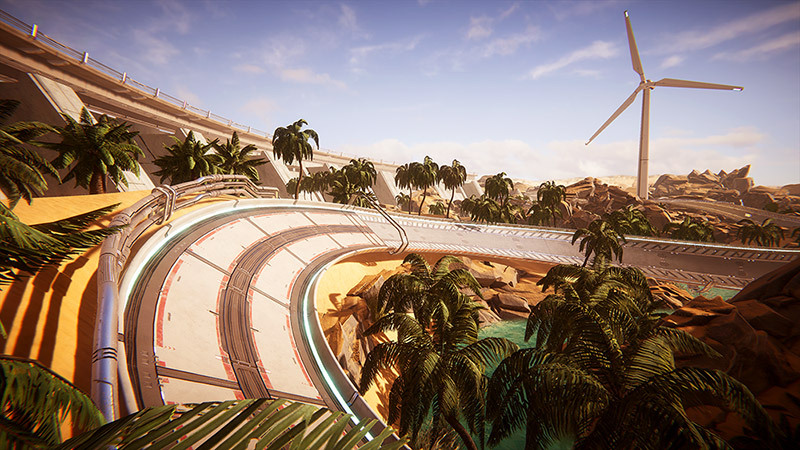 When four students at Belgium's Digital Arts & Entertainment game school joined forces to create a racing game with Unity, they had no idea how fast things would go. In a year, they went from a small team with a student project to a funded indie studio with a publisher agreement. At speed like that, though, they needed a source control tool that could keep up. Cybernetic Walrus needed a source-control solution that offered enough space, enabled artists to work more confidently and efficiently in Unity, and that could be used anytime, anywhere. They chose Collaborate for Unity Teams in March 2017 and haven’t looked back since. The Antigraviator team at Cybernetic Walrus initially consisted of the four co-founders: two artists and two developers. While in their senior year at school, they identified a gap in the market for stylish and classic racing games like Wipeout and F-Zero, but with fresh content and twists. When it came time to pick a game engine to develop their project on, the two programmers on the team wanted to use Unity, but initially, the two artist members weren’t sure whether it would meet their needs. 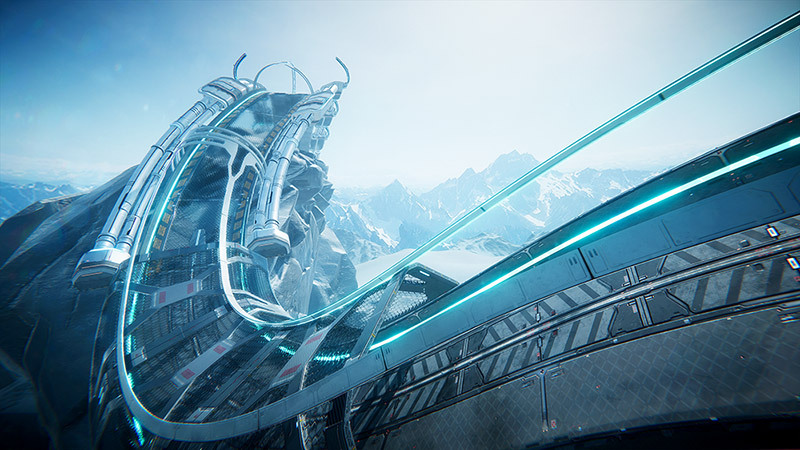 However, Mike Coeck, the co-founder and Managing Director at Cybernetic Walrus, says that when they saw Unity’s Adam demo, it was a turning point in their decision to choose Unity. “The Adam demo was proof right there in front of us. Our artists could download it, play around with and figure out how to do it themselves. And the advances in the latest versions of Unity in terms of artist tools have removed any doubts,” Coeck says pointing, for example to the Post Processing Stack, as one recent feature that immediately improved the look of their game. The decision to use Unity has been vindicated by the results the artists produced. The art assets have actually been used in Unity training sessions. They’ve found a publisher (Iceberg Interactive), and the game has impressed players and critics alike at indie events with the clever gameplay, customizable vehicles and the stunning, realistic 3D graphics. 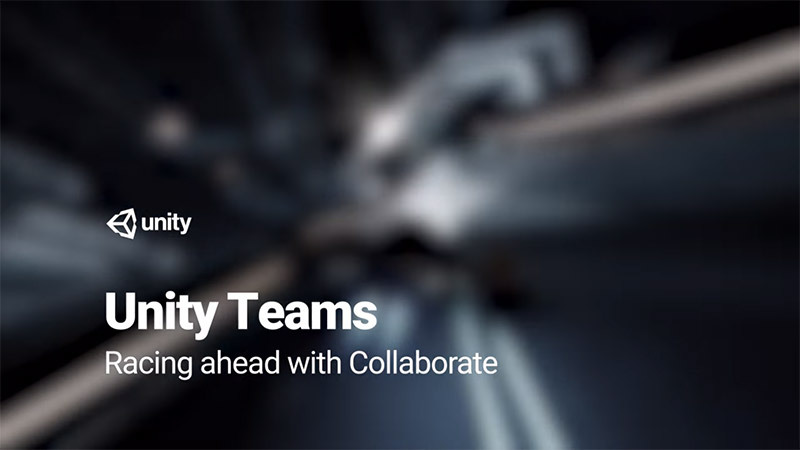 Collaborate for Unity Teams has made it easier for the Antigraviator team’s programmers and artists to work together by making it simple for everyone to push changes into the cloud. Whenever someone starts working, they can be confident that it’s in the latest version. While they initially started their project using traditional source control, the artists found it difficult to keep track of changes when they reverted to a previous version of their project. This occured, for example, when an update didn’t play well with a tool the programmers had customized, and it could be especially frustrating for the artists. Not only was this frustrating for the artists, it took time away from the programmers who would need to resolve the conflicts. After switching to Collaborate, things became much clearer for the entire team. Clean controls and streamlined update/revert processes made it much easier to retrieve the correct version of the project. With Collaborate for Unity Teams, anyone on the team can just select what they want and push it to the whole team, all within the Unity Editor. Now, when someone else starts working again, they can just download each other’s changes without using an external program. Since Collaborate is built into the Unity Editor, they don’t have to start another program and that saves time as well as keeping the team focused. An integrated, easy-to-use interface has given everyone on the Antigraviator team the confidence to contribute directly to the project. On top of all that, Coeck feels that it is a cost-efficient solution. “If we had used one of the other solutions we were looking at, it might have cost thousands of euros. But even from the point of view of a small startup team where it’s important to keep costs to a bare minimum, Collaborate is not a big expense for us. For a team of four, it’s a dream to use. We haven’t looked at another solution since we started using it,” Coeck says. Another advantage of Collaborate for Unity Teams is the easy access, from anywhere. Coeck also points out that for the four co-founders, a cloud-based solution was a must. “It’s not just a 9-to-5 job for any of the team. It’s a passion project for all of us. You go home and you want to be able to work on the game.” he says. The cloud-based access also came in handy when they employed freelancers to take care of porting to PlayStation 4, and more recently, as when they brought on an art intern. The freelancers could work remotely from Brugges while the main team was in Antwerp. Unlike the artists who are co-founding members of the studio, the intern is a pure concept artist with little experience working with game engines. While his tools are pen, paper and Photoshop, Coeck says that they do want to train him to do some work in Unity, for example, creating and implementing game icons. Even though his background is more focused on VFX, his education at DAE has given him some of the basics.